Hi Roland, I'd like to make a few comments on your post. Near the start you say "It is claimed that this is the sun" It’s not clear to me who claimed this? You mention it’s in Stuart Campbell’s book, but I’m not sure if you're saying he is the one who is making the claim? From my experience as a photographer, the picture looks like the film has been fogged (all over) either during loading or unloading the camera, but more likely when it was in the camera or during processing (since the fogging is fairly even). The white patch on the top right looks more like fogging than anything else to me. If it was the sun, the surrounding area wouldn't be so dark; it’s actually as dark as any other area of the sky which wouldn't happen. Also, the patch is not actually burnt out white, which it would be if it’s the sun, it’s darker than the edge along the horizon, which then appears brighter than the sun, again that doesn’t happen. Given that, I see no need to do the analysis you have done. Your own picture does not have "fuzzy Patches" it has areas of overexposure. The bright area top right has more white cloud density, so appears brighter, in fact beyond what your camera can cope with so it’s burnt out. You can see the reflection of that area in the water. I'm rather speechless regarding your mention of peer reviewing. I think you've got it the wrong way round. 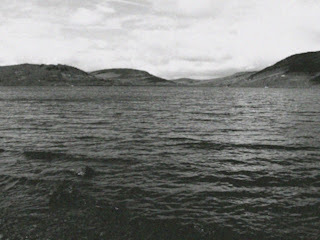 If a picture is presented as a possible Nessie sighting, it’s up to the person claiming this to present a properly peer reviewed argument, only then would a counter theory be proposed by the "critical thinkers". There would be no point in anyone suggesting a logical explanation for a picture that no one had claimed was anything unusual. I'd be interested to hear what peer reviewing was done on your article above? Lastly I'd like to point out that peer reviewing is usually done between scientists, not just members of the public. There is little point in peer review between people that have no expert knowledge or informed opinion. The value of the review is totally dependent on who is doing the review. I don't think Steuart Campbell is making the initial claim, the origin of this argument is not known but I do know at least one leading Loch Ness researcher places some weight on this "sun" argument. So I am glad you agree this argument is a non-starter but others hold to it, hence the need for a rebuttal. As regards peer review, of course I am not expecting a procedure similar to publishing in Scientific American. That rarely happens in the Loch Ness debate. What I mean is that there may be plenty of debate and explanations offered to explain away various Nessie cases, but the flow in the opposite direction is poor to say the least. That is a natural consequence of a sceptic dominated environment, so blogs and websites such as this one attempt to redress the balance. But the main thrust of the article stands, the "evening sun" theory has weaknesses. 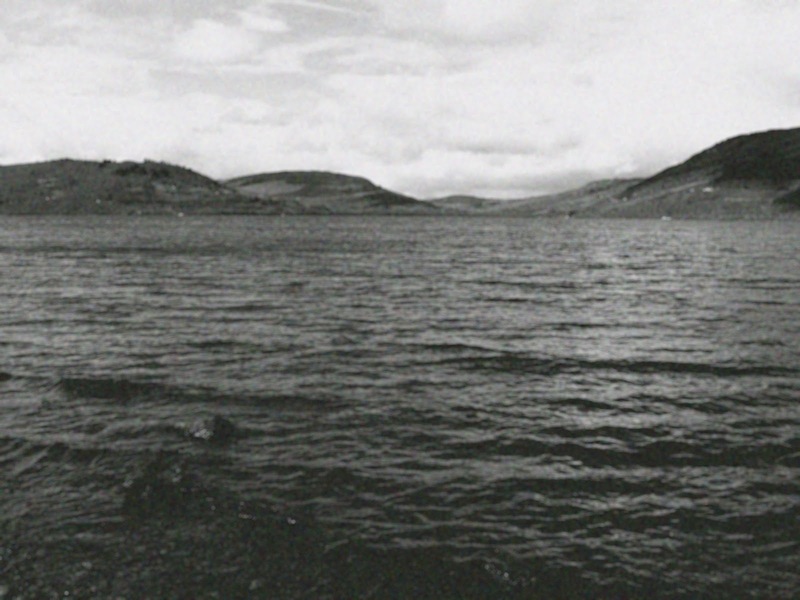 I would like you to analyze Sandra Mansi´s photo of Champ,1977.Paul H Le Blonde,a superb oceanographer,said it was a huge object,others,said it was a man in a suit,or even a log.Champ compared to Nessie´s photo. What is this link supposed to show???? Whilst I find these articles terribly fascinating (and I mean that sincerely, GB -- keep them coming! ), I think that the time of day and Frere issues become moot in light of the fact that the water is simply too shallow to realistically contain an animal of the size shown in this photo. I know all about that link and will address it in the final part of this series of articles. But the main point of this series is not so much to prove the photograph shows an unknown animal (it may or may not) but rather not to take a debunker's arguments at face value! When you take that attitude on board, it spreads beyond to the whole genre of Loch Ness Monster debunking. Totally agreed on your point. I wrote a piece many years ago for TheShadowLands.net (back when I was a die hard believer) that argued against the "deathbed confession" story surrounding the Surgeon's Photo. While I made the claim that the image shows a water monster (something I no longer feel is the case), my chief concern was the way in which any hoax story -- regardless of whether or not it's verifiable, or even makes sense! -- is immediately embraced by the popular press. To that end, I agree with you completely. Like I said, keep these articles coming! Love your site--but maybe you can answer this question. I was at a convention once where this guy talking about Nessie claimed, with a perfectly matter-of-fact way, that "Nessie steals sheep--always two, one she eats right there on land, the other she takes to the bottom of the loch." I'm not an "expert" but in my years of reading about Loch Ness, this "fact" has NEVER come up in any fashion. May I then take it that this guy was pulling things out of the air when he said this? I would think a farmer would notice two sheep always going missing, wouldn't you? I would have been fascinated to hear more of that talk! If Nessie was regularly "supplementing" her diet with sheep and cattle, I am sure it would have come to the attention of the local authorities via worried farmers. However, I can believe that Nessie's very rare excursions on land could result in such scavenging/hunting but would be so rare as to not be a concern to livestock owners. The only place i can possibly think of around the loch where any livestock is present anywhere near the water is the small (10 or so) herd of sheep in the grounds of the croft on the left of the road just as you come towards Cherry Island, on the outskirts of Fort Augustus. Aside from those sheep, i don't believe there is any livestock anywhere near the water. There is a very small herd of mountain goats that frequent the south shore between Foyers and Fort Augustus, but they are usually seen fairly high up the skyline. Apparently they were imported from Europe by the estate way back to provide hunting parties with sport. Sheep graze on the fields beside Borlum Bay.